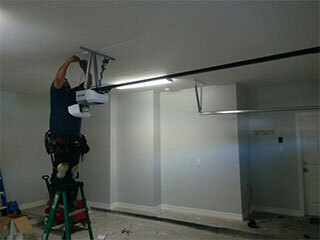 Home Our Garage Door Services Garage Door Maintenance Why Is Regular Garage Door Maintenance so Important? While most garages are used simply as storage spaces, many homeowners end up using their garage doors as the main entry point to their home. For that, as well as for several other reasons, making sure this system is properly taken care of is vitally important. The most important reason to have your garage door undergoes regular maintenance is to make sure it remains safe to use. Such a complex electro-mechanical system can suffer from a wide variety of issues, some of which can lead to catastrophic results. Checking the condition of the springs and the safety sensors' alignment on a regular basis can prevent dangerous accidents from occurring. Even if you don't use your garage door that often, but you do use that indoor space to store some valuable belongings, you'll want to make sure your door is in a great condition. Your garage door can prevent all sorts of pests and harsh weather conditions such as rain, hail, and snow from getting inside your garage and damaging your belongings. You should make sure your weatherstrippings aren't torn or worn on a regular basis. The last thing you want when you return home late at night is to have to manually use your door become its automatic function is suffering from some malfunction. You certainly don't want to have to deal with it in the morning when you're in a hurry to get to work. Therefore, making sure any potential problem is repaired in a timely fashion is something you'll definitely want to ensure. Many modern garage door openers can offer you different methods of making sure your home is as secure as it can be. Rolling code technology, for example, like the one being used in the Genie Intellicode, can make sure your remote's communication codes can't be hijacked by tech-savvy burglars. The last thing you want is to have a problem with your opener exploited to gain access to your home, so making sure it's electronic parts are in a good working condition is crucial. If you want to be sure your door is in the best condition possible, then our technicians can help. Contact our experts at Garage Door Repair Plainfield to schedule a maintenance appointment today.